Obviously, when you are considering building a home versus buying one you’ve already crunched some numbers. But that doesn’t mean you are completely out of the woods. It would help to get a construction mortgage preapproval before you begin the process. This will let you know exactly the amount of funds you can work with. It’s also vital that whatever number you are preapproved of you don’t want to go over. Even a couple thousand dollars will put a strain on you and the project. It’s better to find ways to cut costs every step along the way. 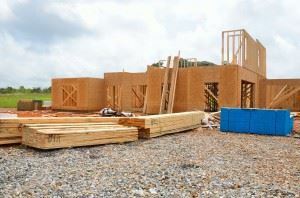 It can be very exciting to build a home from the ground up. However, you have to be very clear about what you want when talking to your prospective homebuilder. Once they begin rolling up plans you don’t want to come back and suddenly say, “Oh by the way can we have a swimming pool?” It might be a good idea to sit down with your partner and write out your “wish list.” That way you can see exactly what you might keep and what you might lose. Although it is nice to give people a first chance at a business, you don’t want that to be building your home. Your homebuilder should have a long history of construction that can easily be verified with references and accreditation. Every prospective homebuilder that you will meet will provide you with a list of references. Obviously, these are people who are going to be satisfied customers. It shouldn’t be too hard to find customers outside of that list. You want to find out if those clients had a good experience with the builder and if they were responsive to needs. You will probably want to survey the lot you’re building on with your prospective builder. In to get an accurate picture you may need to clear that lot. This is where Junk King Atlanta can be big asset. These are the junk removal professionals who have a lot of experience clearing out vacant lots that have been turned into illegal dumping grounds. Don’t be turned off by trash in a vacant lot. Instead, turn it over to Junk King Atlanta. This entry was posted in Atlanta Junk Removal and tagged homebuilder, Junk King Atlanta, junk removal, rubbish on July 31, 2017 by Junk King. Last updated July 31, 2017 .